Tiles have been liberated from their common, limited role, and have become the front and centre of design. Our studio in Wimbledon Village is home to a library of over 500 ranges of interior and architectural tiles. These beautiful cement surfaces are designed to provide responses to people who love the world of architecture, decoration and interior design. These products are capable of adapting to any surface like fascades, floors, walls, ceilings and even furniture, indoor and outdoor. Our kitchens are handmade using traditional cabinet making methods and the highest grade materials, we are confident the craftsmanship by which our kitchens are manufactured will stand the test of time. We have an enviable reputation for designing and sourcing beautiful bathroom products from around the world. Visit our studio in Wimbledon Village or book your design appointment. Wood is the most eco friendly beautiful flooring material there is. The wood flooring range at Acquastone has been carefully selected considering the design, quality and the environment. 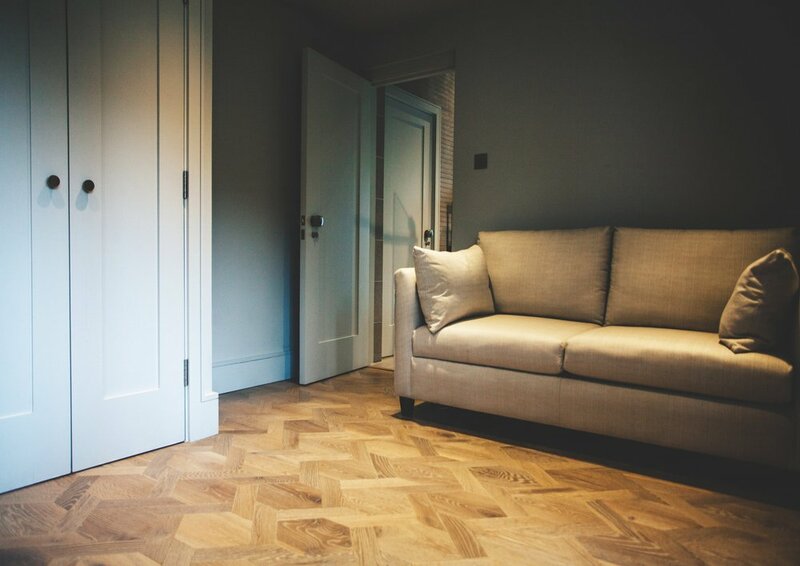 Request samples of our new engineered and solid wood floors in plank, herringbone and chevron designs.